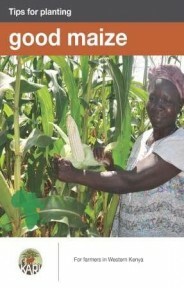 Tips for planting good maize covers good agricultural practices in producing maize. It is a 10 page, A3 paper flip chart. Produced at a write-shop in Kenya facilitated by ASHC. A3 poster explaining improve yields and income, intercrop maize and pigeonpea. Produced at a write-shop in Kenya facilitated by ASHC.